so tell me ...YOU CAN DO IT!!! My life has been a real roller coaster, from my childhood in Korea and Japan to my current life where I am based in Cornwall as a Personal Trainer! I have travelled the world, experienced many different cultures and dealt with the polar opposites of humanity, from the most amazing, selfless and giving people, to the darkest depths of the human race. I have given birth to 2 beautiful boys, both are now teenagers and growing into fabulous young men ! I learnt to fly a paraglider and have flown all over western Europe, it's one of my great passions. I have sky dived, abseiled down mines and run across deserts. I really couldn't live without it, and I can show you how to love it also. "THANK YOU FOR HELPING ME REACH THE FINALS FOR 2013 FITNESS PROFESSIONAL OF THE YEAR AT THE NATIONAL FIT PRO AWARDS!! " At my first desert Ultra Marathon, the 2008 Marathon Des Sable, I loved it ! The desert, the heat, the running...I absolutely loved every minute of it...the love affair with extreme ultra marathons began :-) ! In Dec 2008, I had a freak paragliding accident. I fell from 30ft in the air to the ground, and bounced on my back. 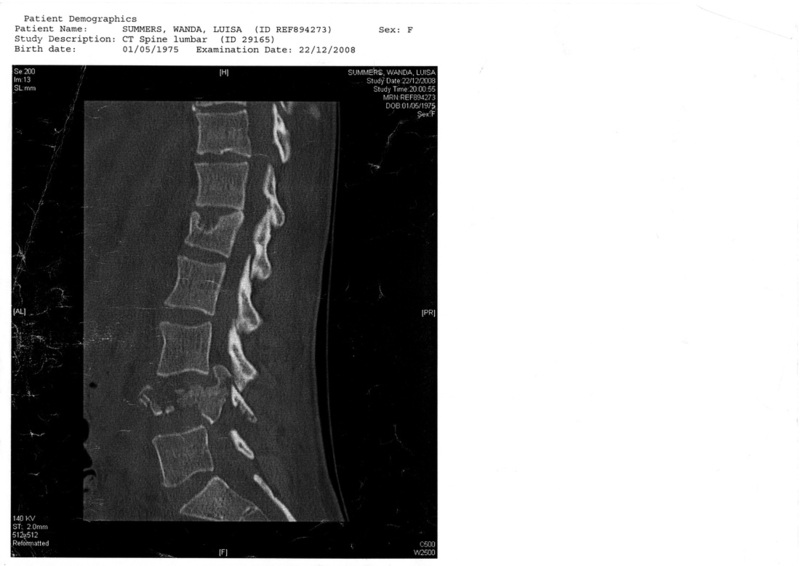 I knew instantly I had broken my back, my right leg felt like it had snapped at the shin but the bone wasn't damaged, so I knew it was the nerves in my spine that were sending me false signals. Shattered L4 protruding into the spinal cord canal, the consultants said it was all over for me ?! ....I decided that they were wrong! I refused the operation, I lay on my back for 8 weeks in hospital. I refused to give up on my legs and despite the agony, was able to get them to move bit by bit. Not once did I move my pelvis, as I didn't want to shift any bones fragments into further damaging my nerve roots. Eventually, so angered and miserable with the treatment I was recieving at the hostpital and knowing I was being held back with my recovery thanks to the lack of sleep from constant noise and not being able to eat properly because the food and water was always left out of my reach (remember I couldn't sit up), I discharged myself. My ever supportive rock of a soul mate, Steve arranged for me to be transported to his house so he could care for me at home. A hospital bed was delivered to the house, and I lay in the living room for another 4 weeks in home comfort. It was there that I got serious with my determination to walk again and set about devising my own rehabilitation programme. The programme included me using a mini stepper propped at the edge of my bed and painstakingly stepping for six hous a day ! At exactly 12 weeks I sat up...very slowly !! It was fantastic ! The day after Steve took me outside in a wheelchair and wheeled me out to the coastal path, ...it was my first taste of fresh air in 3 months ! Once back outside the house, before being lifted in the wheelchair up the steps, I had an overwhelming urge to stand up. Amazingly, I was able to take my weight on my legs...it was one of the greatest moments of my life, I knew from that second on, that I was going to run across deserts again !!! Steve captured that very moment on camera with me being helped by Jeff! On a professional note, I hold a Degree in Personal Training with a Principal's Commendation and have over 10 years of experience working as a Personal Trainer. CPD at PACE REHABILITATION in Cheadle, specialising in limb loss. LONDON 2012 OLYMPICS in the Technogym Gym OLYMPIC PARK. Sole Personal Trainer for Technogym 2012 PARALYMPICS in Portland. Over the years, I have worked with COOCI Associates based in Oxfordshire who specialise in adults, children and young people who have experienced catastrophic injury and Personal Trainer for Westcountry Case Management who provides support for people who have had complex physical and psychological injuries. Specialist Running Shop At Your Pace where I trained in gait analysis using Dartfish Technology. - working with ALL people including anyone with serious injuries such as limb loss or complicated conditions, who want to remain or become fit. **July/August/September 2012 Wanda Summers was selected to be part of a Team of Personal Trainers at London 2012, in the Olympic Village with Technogym and the Paralympics in Weymouth out of over 800 applicants. Technogym are the official suppliers of Gym Equipment to the Olympics.